In late December 2018, North American users discovered that Digimon Story: Cyber Sleuth had been quietly removed from the PlayStation Store. At the time, the delisting was limited to the U.S. store, leading many to believe that it may have been an error. Unfortunately, that doesn’t seem to be the case. Reddit user SydMontague noticed this weekend that Cyber Sleuth has been removed from the European store as well. We checked several stores ourselves and can confirm that it’s no longer available. “Contacting customer support the answer I got was that ‘the game is outdated and we focus our efforts on still supported games’ with a reference to the latest game in the franchise Digimon Story: Cyber Sleuth Hacker’s Memory – which kinda assumes the player to have played the first game,” wrote SydMontague. However, the Redditor didn’t specify which support team he received this response from. Cyber Sleuth was just about four-years old at the time of its delisting. The game first released in Japan in March 2015, and later in North America and Europe in February 2016, for the PS4 and PS Vita. The delisting won’t impact players who’ve already purchased the game. Those who are interested in making a purchase will have to procure physical copies or digital codes from other stores. 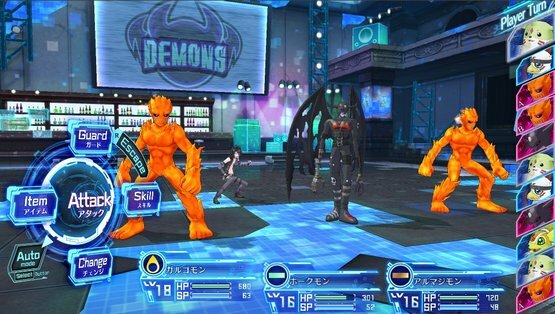 Digimon Story: Cyber Sleuth received generally positive reviews from critics and users alike. PlayStation LifeStyle’s Heath Hindman praised the game’s story, optional content, and soundtrack, but felt that it didn’t offer much of a challenge. What did our readers think of it?